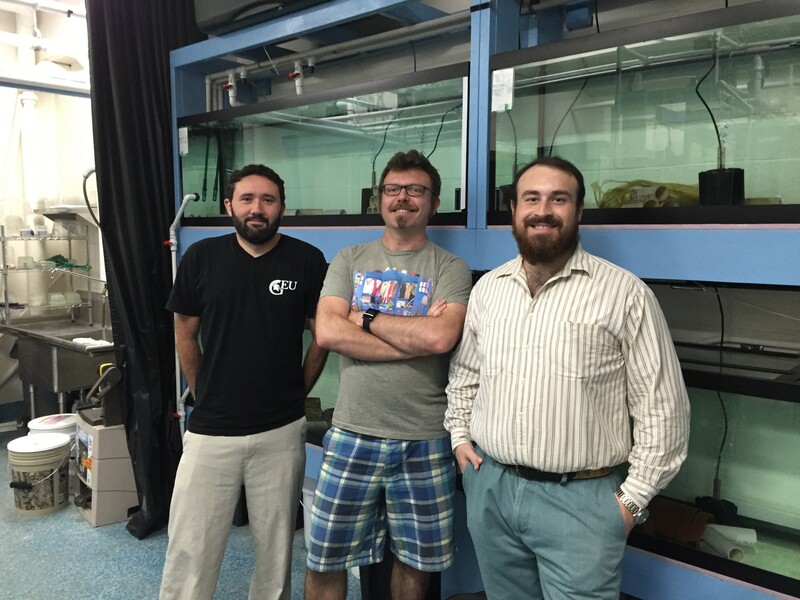 BEACON Researchers at Work: Are Electric Fish Magic? 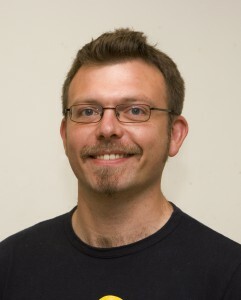 This week’s BEACON Researchers at Work blog post is by postdoc Will Pitchers from the Gallant Lab at MSU. The fishes in our lab — African freshwater fish called Mormyrids — seem pretty magical when one first hears about them; they spend their lives surrounded by a pulsed electric field they generate themselves, and consequently perceive the world, in some very unintuitive ways, with (proportionately) one of the largest brains of any fish. As they can sense their surroundings electrically they can navigate and hunt in complete darkness, or the murkiest of waters. The output of their electric organs also allows them to communicate with each other over a ‘private channel’ on which their prey (mostly freshwater invertebrates) and predators cannot eavesdrop. None of this is the sense of ‘magical’ that I’m referring to however; I’m talking about ‘magic traits’ as coined by a Prof. called Sergey Gavrilets (2004) at U. of Tennessee. To explain: we know that sometimes speciation can occur in sympatry — i.e. a species splits in two in situ — but it can be hard to find a mechanism for how this happens. What could keep groups separated long enough to evolve apart while they share a habitat? 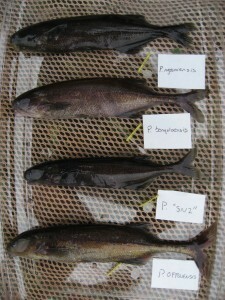 It’s not hard to imagine fishes from one population specializing on one of a couple of food sources, e.g. some rootling for buried worms while others glean for insect larvae. However, this kind of niche partitioning won’t led to speciation as long as the two groups interbreed. In order to split the species, there also needs to be some reason for the two groups to breed assortatively; preferring mates from their own group rather than the other. A so-called ‘magic trait’ would be one whose evolution could begin to diverge for ecological reasons, but which could also lead to sexual incompatibility. Evolving ‘magic traits’ could therefore put species on the fast-track to speciation. We think that the electro-perception of Mormyrid fishes might fit this bill quite neatly; since they both hunt and court each other using their electrical pulses. Mormyrids’ electric organ discharges (EOD’s) differ from species to species, and there’s some evidence that these electrical properties influence what features of the fishes’ environment are perceived most clearly (Von der Emde 2006; 2010). It seems likely therefore, that selection could ‘tune’ the EOD to be efficiently detect a preferred food source. On the other hand, we know that Mormyrids identify which fish are the appropriate species with whom to mate by their electrical signals (Feulner et al. 2009) and evidence suggests that females are choosy on the basis of EOD (Schmid & Kramer 2014). The coincidence of the EOD’s importance in both foraging and mate choice might go some way towards explaining why the Mormyrids are so unusually diverse, having split into ~200 species over 20 genera. Trying to get to the bottom of how the potentially ‘magic’ EOD might be influencing Mormyrid evolution is one of the main research thrusts in the Gallant Lab at present. For my part, I am using the computing resources at iCER to sift through a big heap of next-gen sequencing data to see if we can associate which bits of the genome are associated with variation in the properties of the EOD. As I’m a new recruit to the electric fish scene, I’m going to have to leave you on a cliffhanger, but watch this space for exciting discoveries as we make them! Emde, Von der, G. 2006. Non-visual environmental imaging and object detection through active electrolocation in weakly electric fish. J. Comp. Physiol. A 192:601–612. Springer-Verlag. Emde, von der. 2010. 3-Dimensional scene perception during active electrolocation in a weakly electric pulse fish. Front. Behav. Neurosci. 1–13. Feulner, P. G. D., M. Plath, J. Engelmann, F. Kirschbaum, and R. Tiedemann. 2009. Electrifying love: electric fish use species-specific discharge for mate recognition. Biology Letters 5:225–228. The Royal Society. Schmid, D., and L. B. Kramer. 2014. Sexual selection by female choice prevents speciation reversal in a hybridizing trio of mormyrid fish in southern Africa: evidence from playback experiments of electric organ discharges. Behaviour 151:1703–1734. For more information about Will’s work, you can contact him at pitchers at msu dot edu.